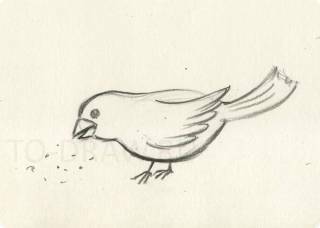 How to draw a bird pencil step by step? 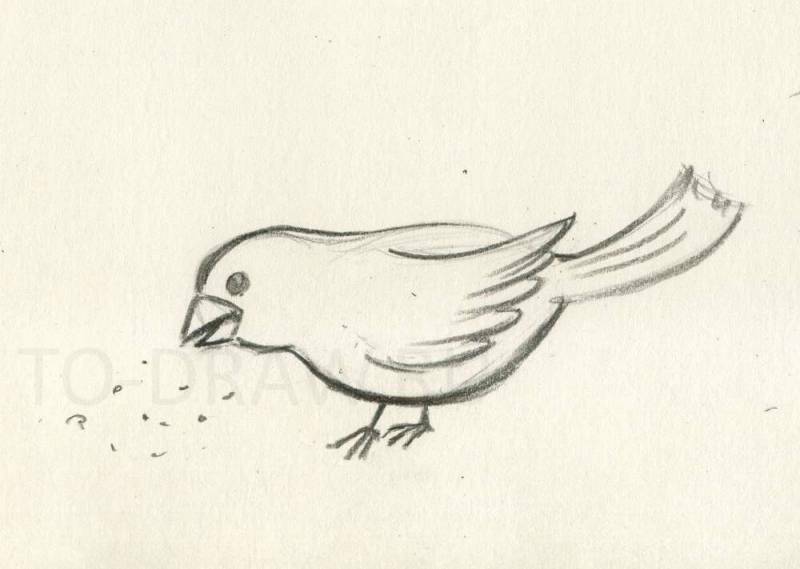 How to draw a bird with a pencil in 3 steps? 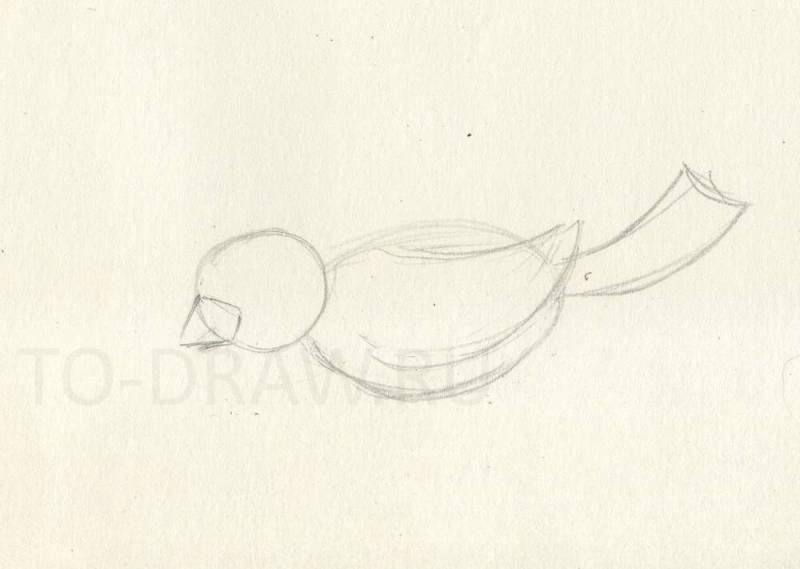 This tutorial is very simple, we will draw the outline of a bird, pecking grain. So, let's divide the figure of a bird on a simple form. The head is a circle, the body is oval, and plus the tail. As we draw the bird, bowing to the ground, the circle and the oval will be located approximately horizontal or circle slightly below the oval. The tail end. Divide the figure into simple forms. Add wing and beak, similar to a diamond. Add the beak and wing. And now we will give the final form of our bird. Plevnei line connect the head and body. The wings will add feathers. 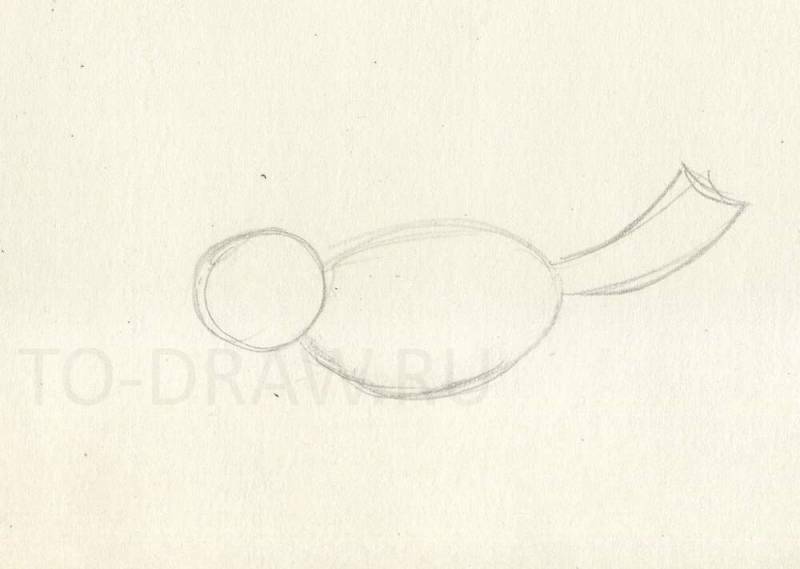 Draw open beak, based on the original diamond.